This morning Sony Ericsson posted a teaser video on YouTube explaining to X10 users the differences they will find in the update from Android 1.6 to 2.1. As painful as it is to watch a video of someone demonstrating five homescreens, slide-to-unlock and live wallpapers like they're brand new features, the video underscores the growing expectation that an update will be released for the X10 within the next few days. 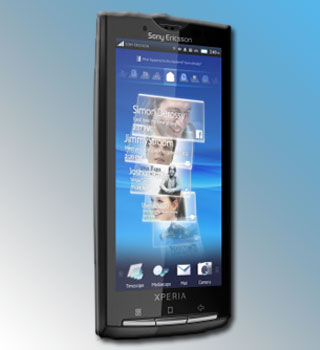 As was previously reported by Journal du Geek, Sony Ericsson's LiveView Bluetooth display is set to launch in Europe in November, and its requirement for Android 2.0+ put its own time constraint on the release of the update for the X10 family. This video seems directed towards X10 users only (a particular point is made of HD video recording), and does not mention the X10 Mini or Mini Pro, but their update should follow suit soon afterwards.